Why is it worth setting up a company in Switzerland? Do I need any licenses? 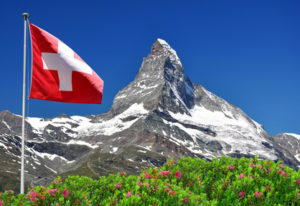 Despite the fact that Switzerland is not the member of the EU, it allows that anyone, even foreign citizens, can establish an enterprise, company in Switzerland. In Switzerland, for the daily business activity, for its permanent operation, you need a work permit and a residence permit. Paying the stamp duty, one percent of the capital (tax exemption up to one million Swiss franc)! Introduction of employees into the social security system at both levels, that is at federal and cantonal level, too. How much is the corporate tax and the local business tax in Switzerland? How is the personal income tax developed in Switzerland? The corporate tax rate, that is profits tax is 8.5 % at national level, and the tax of cantons and municipalities, 16.4%-29.2%, is added to this. On average, 23.3% shall be paid.